Nothing shouts summer more than the fruity pop of a sumptuous strawberry, or the citrusy zing of a classic lime-twist mojito. This month, we’ve taken inspiration from some of our favourite summery hues to create two of our most refreshing and vibrant jewellery pieces yet. Read on to find out a little more about our two beautiful summer-inspired necklaces, and learn how you can use your favourite seasonal tones and hues to inspire your own jewellery design. As a special treat, we are also offering 25% off our Summer Collection including the featured necklace kits to help inspire your own design journey. 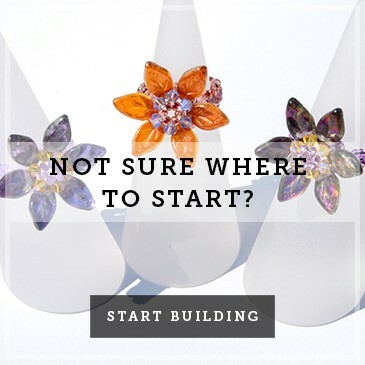 Jewellery design - where to start? Inspiration for your piece of jewellery can come from what you are attracted to; natural scenery or an element of the season, such as summer fruit, are just a couple of examples. 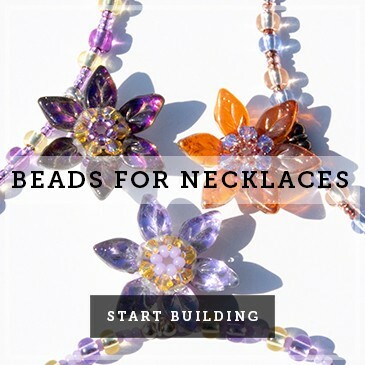 With your inspiration in mind, a good place to start is by choosing a feature bead; that is, the bead or beads around which your piece will centre. There is no right or wrong choice when it comes to feature beads, it is just the initial choice of bead that will set the theme. 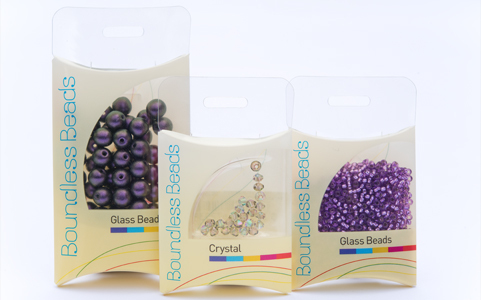 You may even find that you want to change your choice of feature bead as your ideas take shape and your confidence grows. With your feature bead in place, the shape and size of this element will be the starting point for the accompanying beads. 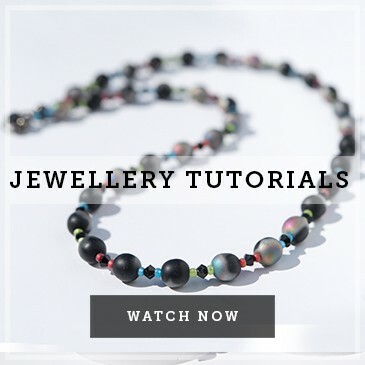 Deciding what will work with the feature bead is a good idea at this point, and experimenting with different colour combinations will give you an insight into the interactions of the bead colours when used alongside one another in your design . The RYB colour wheel is a popular design tool. The first known instance of the RYB triumvirate can be found in the work of Franciscus Aguilonius (1567–1617), although he did not arrange the colors in a wheel. It was in fact Sir Isaac Newton who first arranged the RYB spectrum into a wheel back in 1666, and it is still used today in many fields of design. The classic RYB wheel comprises three primary colours, Red, Yellow and Blue, and three secondary colours, violet, orange and green. Tertiary colours are then created by mixing primary and secondary colours: eg. mixing red and orange to create red orange. 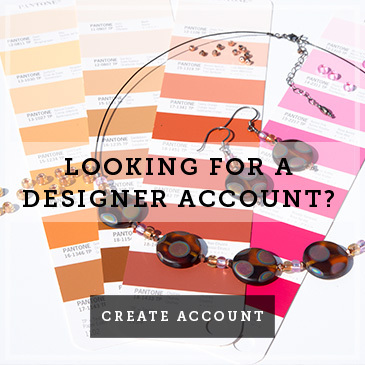 With your feature bead chosen, you can then use the colour wheel to help select other beads which best complement your design. A complementary colour scheme uses two opposite colours on the colour wheel. The high contrast of complementary colours creates a vibrant look, so the colours must be managed well to ensure that your feature beads will stand out without jarring. To use the colour wheel to its full effect, remember that the more transitional spaces there are between two colours, the higher their contrast will be. 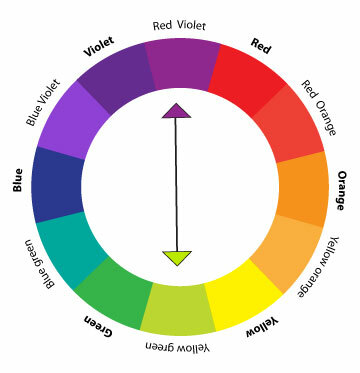 For example, blue violet and red are not as contrasting as blue violet and red orange or yellow orange. In jewellery design, colours don't have to be direct opposites or have a set amount of separation to be considered contrasting or complementary; it's more about your own perception and feeling. Monochromatic colours are all the colours (tints, tones, and shades) of a single hue, created by adding white to create a lighter version or black to create a darker version. 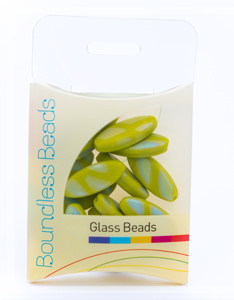 Glass beads in different shades work well together. These are called harmonizing colours, ie colours that sit adjacent on the colour wheel. Two colours can be brought to life by the addition of a third, which can either be a futher adjacent colour or a contrasting one. 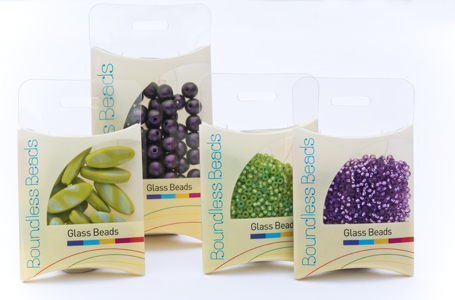 Working with traditional Preciosa Czech seed beads is like having a colour wheel you can feel and touch. Preciosa seed beads offer a sophisticated range of textures, finishes and hues, giving you access to everything from soft pastels through to vibrant metallics in matt and shiny finishes. 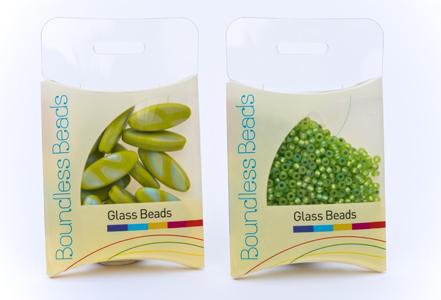 Seed beads make ideal spacer beads to thread between the feature beads in your design, offering you the ultimate three dimensional creative palette. To enhance your final design, you may also want to add some carefully placed ‘sparkle’ in the form of Swarovski® crystal bicone beads. These are available in a number of sizes and will add definition and a distinct character to your piece. Above all, colour choice is all about having fun and having the confidence to really experiment with your designs; the results will surprise and delight you! Our featured ‘lime’ necklace design incorporates ‘Paradise Shine’. This particular crystal has a distinctive yet ethereal quality that effortlessly connects every bead within the design. Established in 1992, we are a UK-based, family-run business. 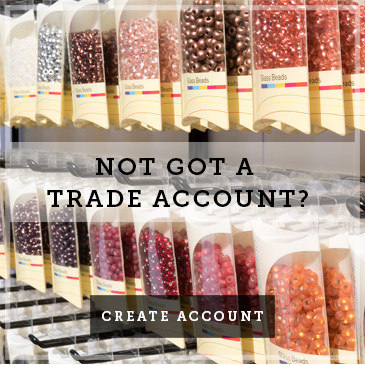 We supply exquisite artisan beads and beautiful hand-crafted jewellery elements to the hobbyist market and to wholesale partners up and down the country. *To claim your 25% discount on the Summer Collection and the two featured necklace kits, please follow the link and enter the coupon code ‘SUMMER16’. Offer ends August 31st 2016.